Meryl Faiers helped to facilitate the Marathon’s reading of Beggars’ Bush from cue-scripts. Here she reflects on the experiment and what we learned from it. A year or so ago, I made a replica of the extant Orlando part (part of the Henslowe Alleyn archive held at Dulwich College) in order to consider the physical impact that a scroll may have had on the process of learning lines; but doing this did not provide any information about the use of the part, or cue-script, in performance. With the regular play-reading group at The Shakespeare Institute I therefore prepared the individual cue-scripts for a reading of the 800-line A Yorkshire Tragedy. This short play was read by a group of thirteen people and each reader had only his or her lines with a very brief preceding cue of just two or three words, the speaker of the cue indicated by a speech prefix. (The Orlando part contains no such indication, although speech prefixes do occur in surviving non-professional parts, but it was deemed that the reading of A Yorkshire Tragedy might easily descend into chaos if unattributed cues only were used.) The reading itself was brief, lasting barely 40 minutes, and highly energized: cues were picked up rapidly and the plot emerged clearly for all. Buoyed by the success of this reading, the group was keen to repeat the experiment at this year’s Massinger Marathon and, in discussion with Martin Wiggins and Jen Waghorn (who was supplying original music for many of the Marathon plays) Beggars’ Bush was selected as a large-cast play with several songs in extant settings. Beggars’ Bush, in contrast to A Yorkshire Tragedy, runs to five acts and has 29 speaking roles, so it would inevitably require substantial doubling. In order to start preparing the parts well in advance of the reading date with no indication of likely numbers attending, it was first necessary to work out the minimum number of readers required. A spreadsheet showed that the play could be read by fourteen people, that seven of them could have only one role with a maximum of four roles for one person. This fourteen-person version was therefore prepared by cutting and pasting from the Project Gutenberg e-text, relatively easy to manipulate in Word and, although with unmodernized spelling, clear enough to be easily read. Further tables broke out the doubling up to a total of twenty possible readers. 72 hours in advance of the reading it appeared there would be sixteen readers so that the necessary adjustments to doubling were made and parts emailed to participants. In the event, there were eighteen attending so some last-minute separation of doubled roles was necessary in the Reading Room. Jen Waghorn meanwhile had rehearsed her musical volunteers in both the boy’s and the beggars’ songs and was prepared herself for Higgen’s three songs in 3.1. The eighteen-person reading of Beggars’ Bush took two and a half hours plus an interval and required enormous concentration from all participants. The length of the text, number of characters, and narrative complexity made it a very different experience to that of A Yorkshire Tragedy. Participants still embraced the experience and responded to its unfamiliar spontaneity, and the music was a highlight performed with gusto. But on this occasion, concentration visibly flagged through the reading with missed cues abounding, and the plot remained unclear to many readers by the end. One of the problems appeared to be scenes with many participants; the relatively rare sections of duologue were much easier for all to follow. The marathon’s regular live tweeting was less prolific than at a normal reading but nevertheless contained some entertaining and informative moments; however, the distraction of the large screen probably did not aid concentration for those awaiting cues. Role (and roll) of Orlando in Orlando Furioso showing scribe’s hand and cues. Reproduced courtesy of the Governors of Dulwich College. The reading itself wasn’t an example of original practice: parts were printed at a legible size on separate sheets of A4 paper rather joined in one long scroll as the Orlando part had been. (My replica of this is around four metres long so would have required considerable dexterity to find scenes and individual lines.) The readers had been asked not to read the full play in advance; thus some were sight-reading and others had familiarized themselves with their own lines but no one had memorized the text as would have been the case originally. The reading ended on a slightly weary and baffled note rather than with the exhilaration of the Yorkshire Tragedy reading, but nevertheless offered possible insights into the use of cue scripts in early seventeenth-century playhouses. Any advance reading (perhaps in a tavern and only to leading members of the company) prior to the distribution of roles and physical parts would have been extremely helpful for clarifying plot points and doubling issues; the marathon reading was “blind” for the majority of readers and nuances of the plot were therefore easily missed. However limited the group rehearsal may have been in 1616, probably at least two full-company rehearsals of, say, three hours each, would have been necessary for staging and practising the big set piece scenes (2.1, 3.1, 3.3, 5.1 and 5.2) before assembling the entire play. Each of the two principal female roles played originally by boys interacts mostly with just one other character (Bertha with Florez, Jaculin with Hubert). This would have enabled each boy to work primarily with one senior actor, possibly the master to whom he was apprenticed. The groups of characters, for example merchants, beggars or boors, would have been able to rehearse some sections of the text in isolation from other actors, thus speeding up the eventual process of full-group rehearsal. The high degree of concentration required by all participants suggests a very different “listening” culture to now. Music is an important element in Beggars’ Bush and whoever played the role of Higgen must have been the company’s singing star – as, indeed, Jen was at the marathon reading. Higgen’s three songs in 3.1 almost become one musical performance with, effectively, two false endings and two encores: it would have been a great scene to give a star singer relatively free rein. The table reading at the marathon took place at the end of the first day when the group was not yet truly a group and when no one could reasonably be expected to anticipate how others would deliver lines. In contrast, the original actors in Beggars’ Bush were a cohesive company well used to working together at speed and, even if not cast by type, they would all have known how each of their colleagues was likely to play and react. It was particularly noticeable that eye contact between speakers was only rarely possible at the reading as lines were read rather than memorized whereas in a performance context, eye contact would have supplemented and complemented the spoken cues. The task of preparing the cue-scripts also provided possible clues as to how the process originally worked. Working in Word was straightforward, yet it still took around 30 hours to prepare the parts and a further seven hours to check them; it must have been enormously time-consuming to do the same by hand. The process suggests that a playhouse scribe would have worked role by role, rather than writing out several roles simultaneously as to have had more than one pile of paper at any one time would almost certainly have been too risky and would have led to muddled cues and/or lines. Parts may have been generally prepared from a full completed manuscript rather than from a partially written draft in order to try to avoid having to make late changes and additions. The Orlando part contains Edward Alleyn’s own amendments but is very clean, probably as it was almost certainly prepared for a revival of a fixed text. In contrast, each player’s part in a new play was likely to contain cuts, insertions and other changes made in rehearsal or performance so that the clarity of Orlando may not be the norm. Selecting the number of words for each cue proved instructive. It is believed that cues were generally one to three words long and it was my experience that often two words were as effective as three in providing a striking cue. Cues for duologue scenes (or sections of scenes) gave a very clear narrative indication of the progress of the scene for each actor. This was not the case at all with the large-scale scenes. The act of copying makes it possible silently to edit text and/or clear up errors of line assignment or doubling. No doubt this happened routinely with an experienced playhouse scribe. He may also have been well placed to offer plot suggestions or supply brief elements of dialogue in the style of the playwright and may therefore have shaped the performance text to some extent. 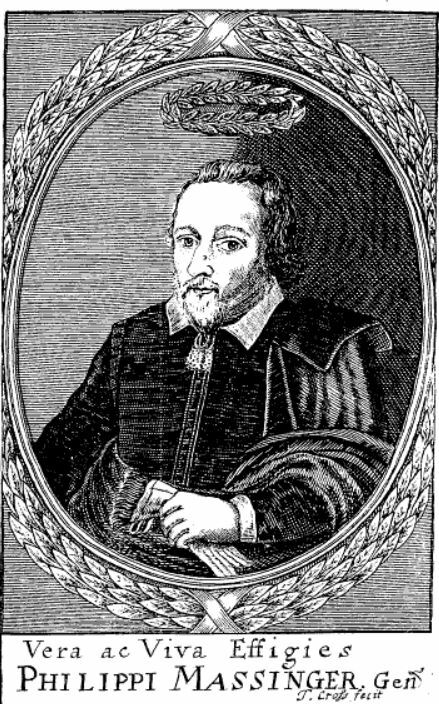 On the Orlando part, a few gaps have been completed in Edward Alleyn’s hand rather than the scribe’s; although the copyist of Orlando Furioso left illegible words blank, it is equally possible that in other instances the scribe supplied these words himself. This entry was posted in Uncategorized on December 18, 2018 by massimara.